Six Chinese academicians paid lecture tours to Xishuangbanna during March 24-25. Academician Chen Yuntai and Academician Zhu Zuoyan delivered lectures at Menglun Middle School and XTBG headquarters respectively. Academicain Chen Yuntai, Honorary Director of the Institute of Geophysics, delivered lecture on earthquake prevention and disaster mitigation at Menglun Middle School. 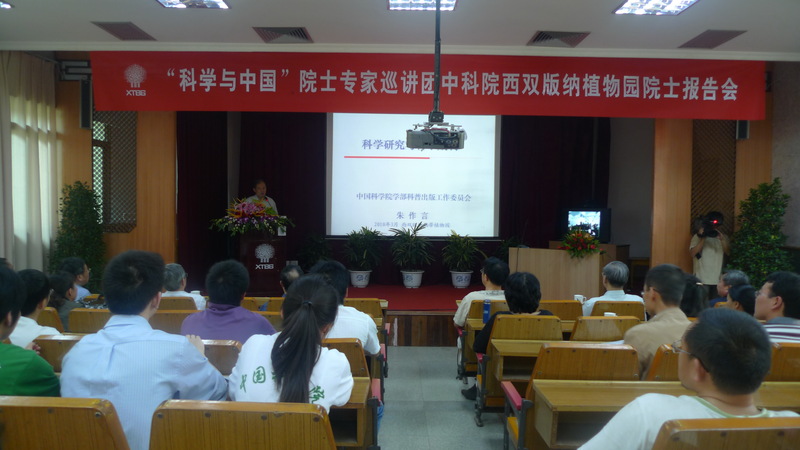 His talk unveiled the “Science and China” lecture tours in Xishuangbanna. His report aroused much interest among the 1,200 local middle school students. It was also a good opportunity to disseminate scientific knowledge and promote scientific spirit and ideas. Academician Zhu Zuoyan, former vice president of National Natural Science Foundation of China (NSFC), gave a lecture on scientific research and academic journals at XTBG. It was attended by 80 gradate students and scholars, who claimed that what they heard was interesting and enlightening. 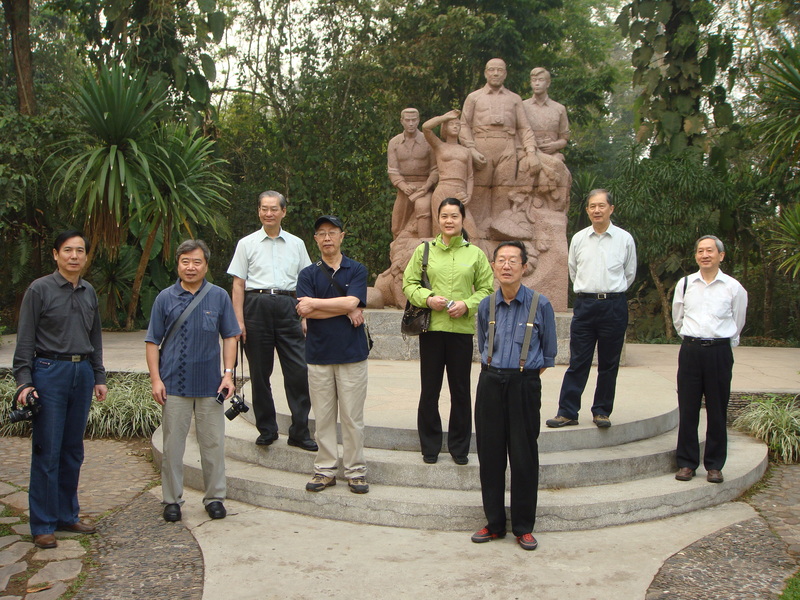 The six academicians included Chen Yuntai, Zhu Zuoyan, Xia Jianbai, Wang Dingsheng, Feng Shouhua, and Rong Jiayu.